Part of the ShoppersChoice.com family of brands, UltimatePatio.com brings indoor style to outdoor living. Our vast selection of outdoor furniture includes dining, conversation, bistro, and bar sets to reflect every style. From intimate porches made for relaxing to decks big enough to entertain a crowd, UltimatePatio.com has everything you need to transform your outdoor space into an extension of your home. Call us with any questions - we're here to help. 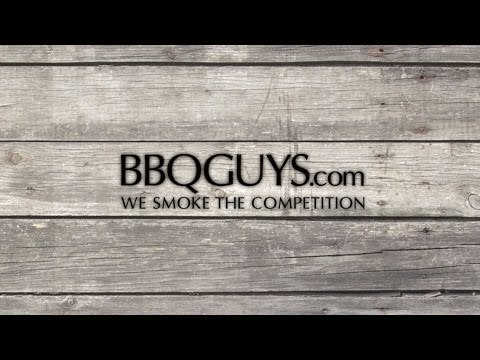 Great new items just arrived at BBQGUYS. Check out our great selection of BBQ Grills, Outdoor Kitchen Equipment, and BBQ accessories. New items arriving daily! Experience the ultimate in outdoor dining and entertainment with Chicago Brick Oven. Made in the USA, this hybrid natural gas and wood-fired pizza oven will become the centerpiece of your outdoor kitchen for its versatility, durability and performance. Unlike other pizza ovens that have a separate firebox, Chicago Brick Oven features a low, igloo-shaped dome design which is modeled from ancient Italian wood-fired oven designs. If building and tending a fire is not your idea of a good time then fire up the gas burners! The two-burner design has an infrared burner under the hearth, and an ambient burner in the back of the hearth to keep things nice and toasty. You can also burn wood while the gas burners are on for some wood flavor in every meal. The flue system creates a steady draft along the dome to prevent smoke from existing through the front. 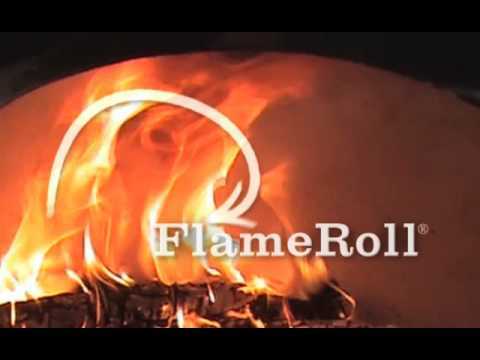 This makes it easy to cook wood-fired pizza, steaks, chicken, veggies, and other recipes. The design of the oven creates a FlameRoll, using the vent to pull the flame horizontally across the top of the dome and then vertically back down the side, creating temperatures of up to 1,000 degrees Fahrenheit for superior cooking. The special shape of the oven reduces cold spots and ensures that the radiant heat is used efficiently. The oven has a 41 X 28-inch cooking area and sits on a custom-built cart with heavy duty casters. Combining traditional brick oven design with modern engineering, this outdoor oven is made from refractory cement and stainless steel fibers. Chicago Brick Ovens are highly sought after because they are certified to UL standards. The outside of the oven has a powder-coated steel cabinet with a silver vein finish for the look of a professional cooking appliance. The CBO-750 pizza oven comes as a complete package with the oven, installation kit, infrared thermometer, pizza peel and cleaning brush. It takes 45 minutes to heat up and requires no assembly so you can start cooking right after you cure your oven. Chicago Brick Oven warrants its products to be free from defects in materials and workmanship for a period of three (3) years from the date of purchase. Chicago Brick Oven pizza ovens are modeled after traditional brick ovens designed with modern materials. The oven has an igloo-shaped dome which is a one piece design. The dome is made of refractory cement, a durable material that has excellent heat retaining properties. The relatively low height of the dome forces heat to roll around inside, generating even heat throughout the oven. This creates a heat vacuum, concentrating the heat, where it will rise up to nearly 1,000° F. Staying true to an authentic brick oven, your food is cooked in the same chamber as the fire. This in-chamber cooking method will give your food more wood-fired flavor than other ovens with separate cooking and fire chambers. Chicago Brick Ovens come in a variety of collections. The 500 series has a 29x23 inch cooking surface, while the 750 series has a 41x28 inch cooking area. Both ovens can cook several pizzas (among other foods) at the same time. For the true pizza lover Chicago Brick Oven also offers DIY Kits. The kits come with everything you need to build your dream outdoor pizza oven. They come complete with the oven, installation kit, infrared thermometer, pizza peel, and cleaning brush. The Chicago Brick Oven DIY Kits allow you to design a one of a kind outdoor pizza oven in your own backyard. One of Chicago Brick Oven's greatest benefits is its cooking versatility. For example, start with appetizers (roasted garlic, jalapeno poppers) and then on to the main course (pizza, chicken, steaks) and then as the temperature starts to wane, bake breads and/or finish with your favorite dessert (cookies, cobbler, cakes). Before you can start cooking, this oven must go through a process called curing. This involves slowly heating up some charcoal and letting it burn in the oven. You'll want to go through your entire 15 lb bag of charcoal, and this process can take up to a day. As with most wood-fired ovens, it will take some time for the fire to get hot enough for cooking. The oven works best when you start with a small fire and slowly add to it. You'll know the oven is around 700° F when the inner walls turn from black to a whitish gray. This is the optimum temperature for most types of cooking. Plan on allowing for an hour or so for the oven to reach this stage. WARNING: This product can expose you to chemicals including formaldehyde, benzene, soot and carbon monoxide which are known to the State of California to cause cancer or birth defects or other reproductive harm. For more information, visit www.p65Warnings.ca.gov.